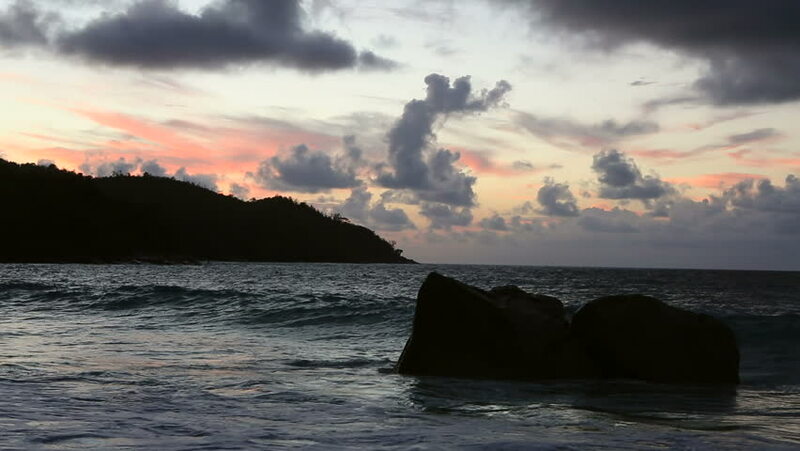 Waves at sunset on the beach of Anse Lazio. Island of Praslin in Seychelles. hd00:15A view of the sea with waves, the rays of the sun through dark clouds. Dramatic landscape. slow motion. hd00:10Sunrise timelapse & boat silhouette at Olhão, capital of Ria Formosa wetlands natural conservation region landscape, Algarve, southern Portugal.